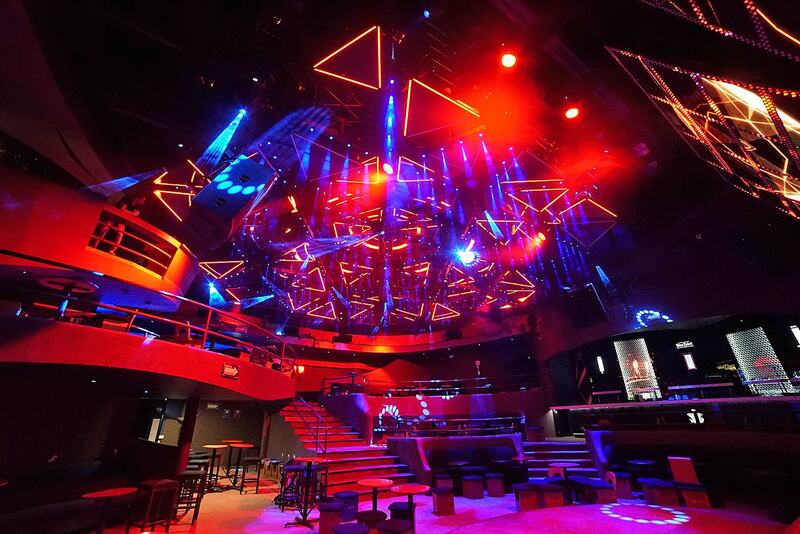 Just opened, My Way has become one of the most prestigious clubs in Mexico, and a reference for the sophisticated level of audio, video and lighting systems installed. 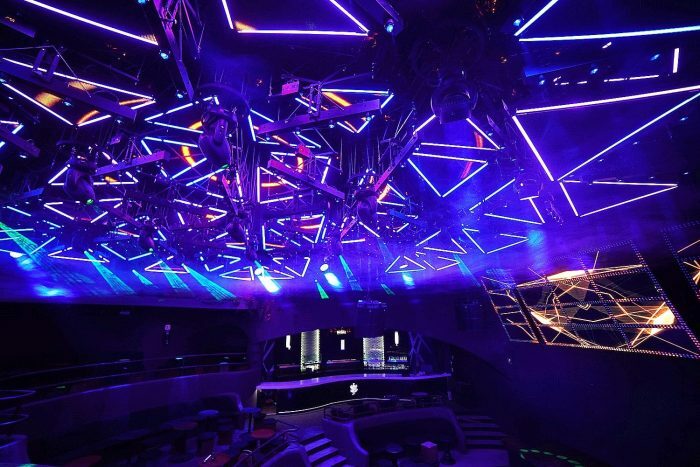 The project of My Way, made by Ricardo Flores, Director of Leds4Skys company, integrates five zones: the bar, the ‘cube’, the disco, the terraces and the VIP area, each with its own distinct ‘personality’ and specific lighting equipment. 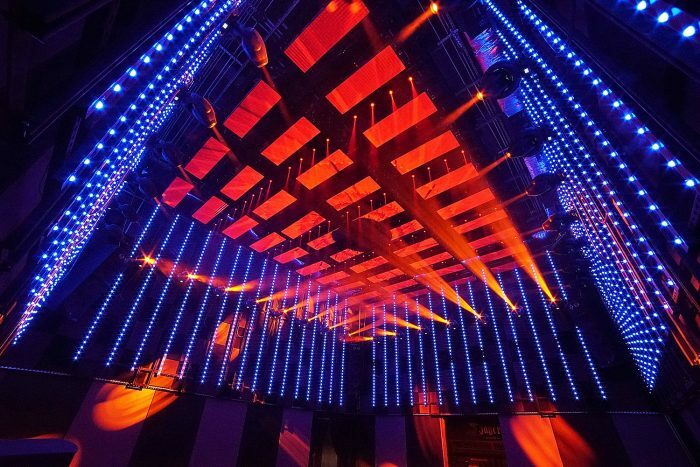 A wide range of DTS moving heads is used in the dynamic lighting of the main areas: 30 x JACK are fixed to the wall along the perimeter of the so-called ‘cube’ and allow to create with their projections a series of luminous geometries of great effectiveness. 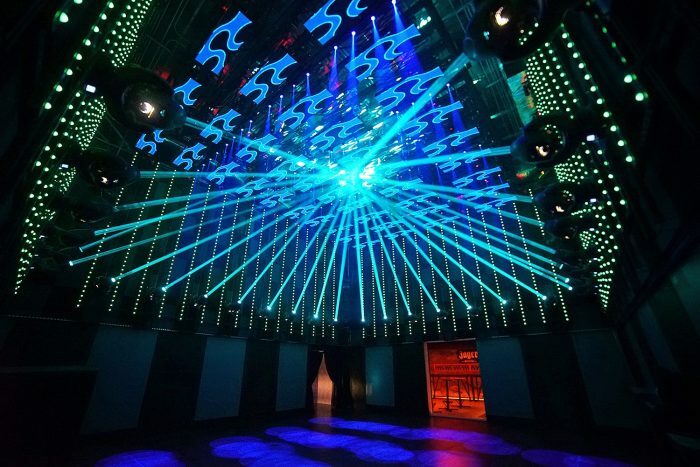 23 x MAX and 10 x NICK NRG 1201, hanging above the discoteque, color the entire area and the dancefloor below.